While Neuro Linguistic Programming or NLP has a very technical ring to it, it is actually a very simple technique that you can start to learn in a matter of minutes. In fact, it’s a tool for life – that you can use at any time and place. NLP allows you to bring together all of your five senses – and in the process eradicating negative energy from your fears and at the same time promoting feelings of calm and of being relaxed in the situations where you’d previously felt stressed, angry or nervous leaving you more in control. This life tool will allow always put you in charge of your emotions, the internal representations of your world, every minute of every day. NLP helps you ‘unlearn’ your bad habits and anxieties, giving you the freedom to be the person you always desired to be – and in the course of events, achieve all the successes that you want and deserve. In a nutshell, NLP will eliminate and replace negative thoughts, limiting beliefs, mental blocks and unwarranted fears with new attitudes and give you direction to bring about really positive self-changes and behaviours. The NLP format is normally a twostep approach – the first step being to motivate course participants get rid of self-doubts, feelings of insecurity and unhelpful beliefs because with these you’ll be stuck in the same old rut indefinitely. You’ll learn how to challenge negative thoughts and beliefs about your limitations in life, identifying what you’ve been lacking and fearful of. Stage two concentrates on developing positive habits, to be free of all past restrictions, and to go on to live a much happier, develop harmonious social and business connections and an overall fulfilled life. 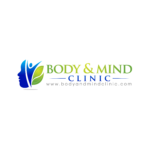 By signing up to an NLP course at the Body and Mind Clinic you can: boost your confidence, increase self-esteem, reduce anxieties, sharpen your concentration, better focus on life events, have influence and be persuasive in company, boost your self-belief and manage your emotions.